This time of year asparagus is a good buy and we like to get our fill of it and a lovely surprise for Yotam Ottolenghi’s version, the aubergine mayonnaise which slightly reminiscent of the very uncomplicated baba ganoush that is found in so many Mediterranean restaurants and I can see treating the remainder of the mayo as such with a little addition of tahini, a bit of lemon and perhaps another clove of garlic. I was completely successful in making the mayonnaise using a stick blender beginning with the egg yolk and vinegar then slowly bending in the oil. Heat the oven to 425º. Put the aubergines on a small baking tray and roast for an hour and 20 minutes, turning once halfway through, until the skin is charred all over. When cool enough to handle, peel and discard the skin; put the flesh in a colander for an hour, so excess liquid drains away. Put the mustard, egg yolk, vinegar and garlic in the small bowl of a food processor with half a teaspoon of salt and a good grind of black pepper. Blitz for 30 seconds, just to combine, then, with the machine running, slowly add the sunflower oil until you have a thick mayonnaise. 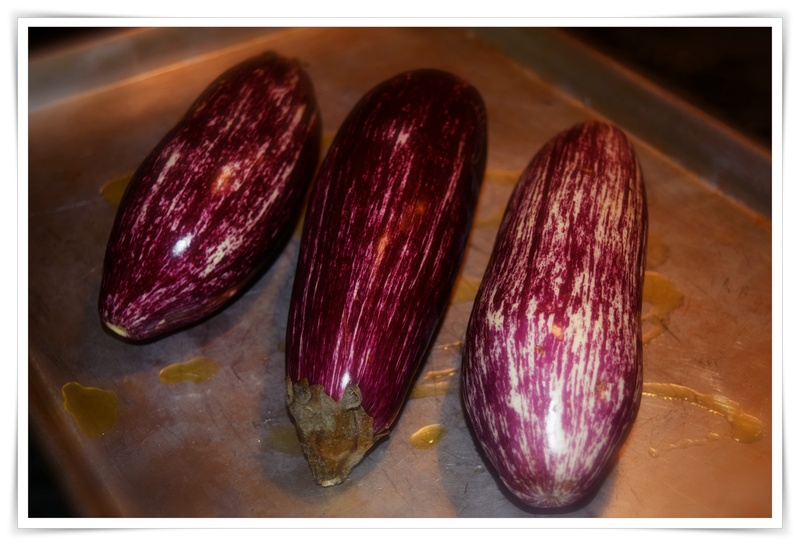 Pulse the aubergine into the mix bit by bit, then transfer to a bowl. Stir through the tarragon and refrigerate. Fill a large saucepan with water and put on a high heat. Bring to a boil, add the asparagus and blanch for two minutes (or one, if the stems are very thin). Drain, refresh under cold running water, then pat dry. Put in a bowl with the olive oil, half a teaspoon of salt and lots of black pepper, and mix well. 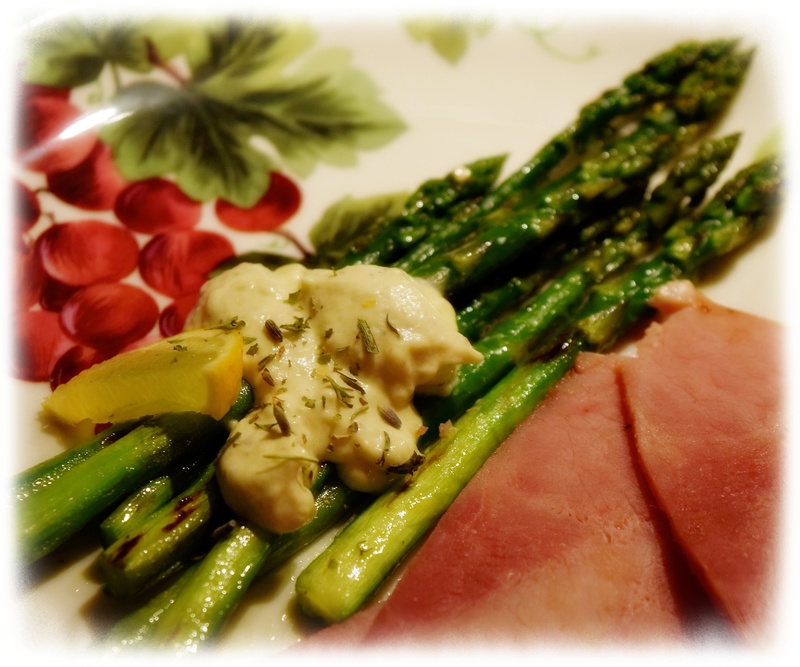 Heat a griddle pan on a high flame and add the asparagus in batches (you don’t want to overcrowd the pan). Grill for a minute, turning halfway so the spears get char marks all over but stay bright green. Serve warm with the mayo alongside.